Navigation metaphors are common in education. They play on the different meanings of “course”, but overlap because academic courses are intellectual journeys directed toward a specific destination. Our goal as instructors is to guide instruction so that it is headed in the right direction: this is the “course made good” in both seamanship and education—the direction in which you are actually traveling, as opposed to the direction you are pointing. Knowing where we want our students to go during the term is the first step. To assure our students’ success—and to make appropriate adjustments—to our course, we need to know two other things: first, where the students are now, and secondly, are they headed in a direction that will take them to the destination? When the answer to the second question is “no”, we may need a course correction (in both senses of the phrase). Your course learning objectives (LOs) are the navigational beacons that guide the journey. Here’s an example below, from the University of Wisconsin at Milwaukee’s introductory anatomy & physiology course. These LOs for the muscular system have been adopted from Module G: The Muscular System by the Human Anatomy and Physiology Society. Note that the LOs use specific verbs that inform students about the actions required of them: describe, compare, analyze, predict, interpret, and so on. Identify skeletal, cardiac and smooth muscle. Describe and compare the structure, location in the body and function of skeletal, cardiac and smooth muscle. Interpret a myogram of a twitch contraction with respect to the duration of the latent, contraction and relaxation periods and describe the events that occur in each period. Define the terms tension and contraction, with respect to muscles. Define the term motor unit. Demonstrate concentric and eccentric contraction and contrast the relative tension and resistance that exists, as well as the change in muscle length that occurs, in each type of contraction. Explain how the name of a muscle can help identify its action, appearance, or location. Identify the proximal and distal attachments, and action of the Top 20 skeletal muscles and demonstrate these muscle actions. Interpret muscle actions based on location, joint type(s), muscle shape, and orientation of the main muscle force. Define the terms prime mover (or agonist), antagonist, synergist and fixator. For a given movement, differentiate specific muscles that function as prime mover, antagonist, synergist or fixator. The sooner we know that our students are “off course” the better: it is easier to make small adjustments than large ones, and to make them sooner than later. Using student response systems, such as Top Hat, can tell us immediately whether students are on course for the LOs in a particular lesson or unit. A successful student will know that only B describes the general principle of muscle action that explains why this muscle performs two opposite functions. We are on course if 80 percent of our students or groups are able to answer questions correctly 80 percent of the time (the 80/80 standard). For this question, 81.5 percent of groups responded correctly, so we moved to the next learning objective: to differentiate the roles that a muscle can play when it acts. Students answering individually averaged 82.9 percent correct on these questions for other muscles in the body. This formative assessment told us that students were succeeding in meeting the LOs for this lesson: they were “on course”. If they had not been, we would have used the “ask again” strategy: reviewing relevant aspects of the problem related to the learning objective, then repeating the problem for students to solve. These synchronous assessments give us “fixes” on the position and direction for our class at that point in time. They allow small adjustments near the time when students veer off course, instead of bigger adjustments that might be required if assessments waited until a major exam before checking for mastery of the LOs. 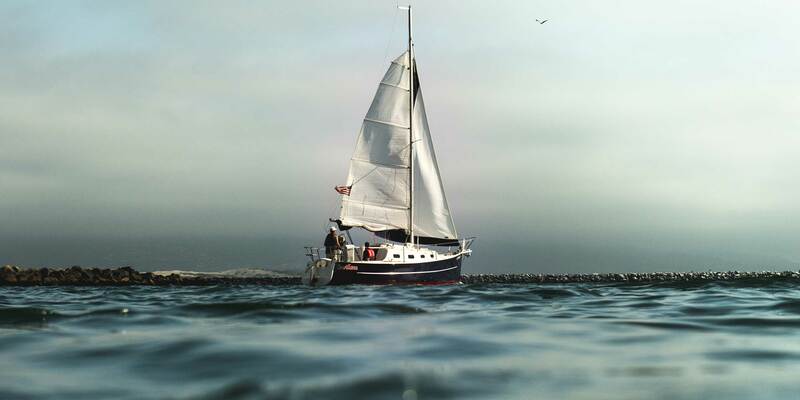 The doldrums are the part of the ocean near the equator where atmospheric and heat conditions mean there is no wind—causing ships that are sail-powered to slow down and stop. This relates to another constraint we face when teaching: we must reach our destination in a specified time, namely the end of the academic term. Students can be “on course”, but making insufficient progress. Designing and delivering engagement that enhances student progress is easier when the instructor has laid out specific LOs for the course. Then, each question or problem posed in class can be linked to one of the LOs for an easy assessment of progress in the course. In the example shown here, the muscle structure, function, and role LOs are addressed in two successive classes using several sets of questions in different formats. If students meet the 80/80 standard on the first question, the instructor may choose to move on to the next set. Otherwise, after applying the “ask again” strategy, the instructor can add other questions from the set to verify that students have mastered the relevant LO. In this course, our goal is to meet the LOs for the muscle unit of the course by the end of week nine, and we can use the students’ responses both to measure their progress on the journey and to keep them on course. The only time you should need a major course correction is if this is how you feel. It means that your lessons, activities, assessments did not help your students “make good course.” It is not that students do not have a major responsibility in their success in the course, but the instructor is (often literally) the only adult in the room. Reexamine how you have aligned your instructional methods and materials with the LOs that guide the students to their destination. Both adjusting the starting point and realigning the instruction with the LOs will help students succeed…and help instructors make good course. Andrew Petto recently retired as Distinguished Lecturer Emeritus from the University of Wisconsin–Milwaukee where he taught anatomy and physiology and introduced TopHat. His PhD is in Biological Anthropology with post-doctoral studies in primate behavioral biology at Harvard Medical School (NERPRC) and in primate ecology in the Department of Anthropology at UW-Madison, supplemented by graduate studies in curriculum and instruction at Drexel University. His latest book, Human Structure and Function—an interactive textbook for students outside the sciences—was published by Top Hat in 2017.